Compassionate Neighbours is a social movement of local people enabled and supported to be more compassionate in their local communities. They provide social and emotional support to people towards the end of life due to age or illness. They also share their knowledge and experiences of end of life, death, dying and loss within their community and provoke engagement with these issues. 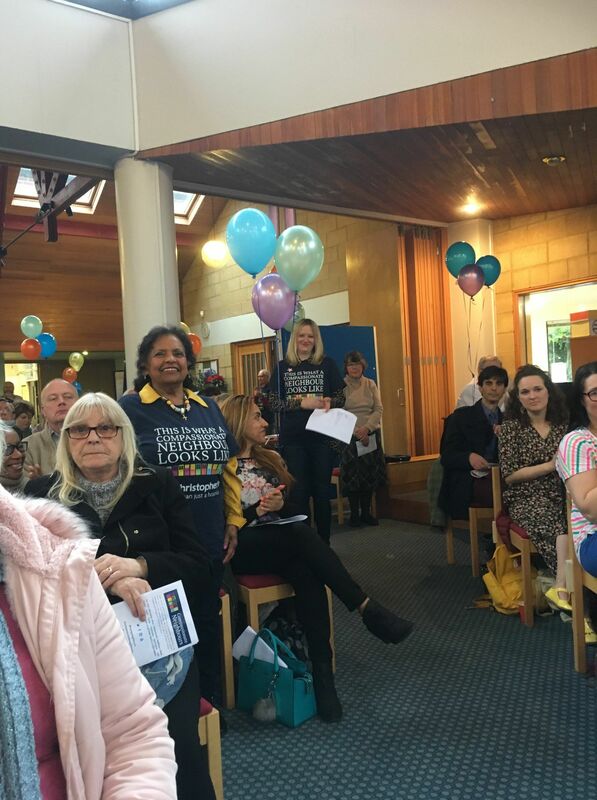 St Christopher’s Hospice held a special concert, ‘Giving Voice’ to celebrate Compassionate Neighbours in South East London. Hosted by one of their project partners, Christ Church, Gypsy Hill it featured local musicians, singers and writers from South East London. 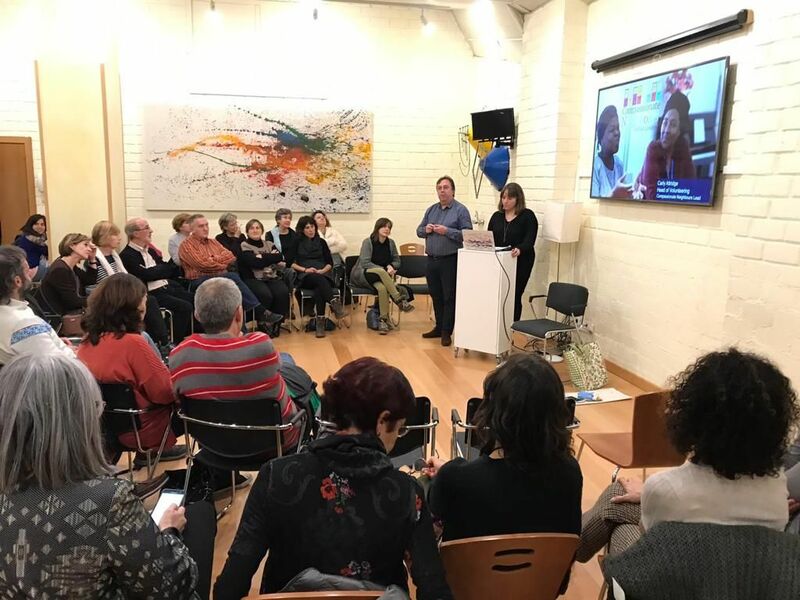 The Compassionate Communities movement is growing across the Basque country in Spain, with a wide interest in the Compassionate Neighbours model. Carly Attridge, Programme Lead at St Joseph’s recently spent an exciting three days supporting Vivir Con Voz Propia with the beginnings of their social isolation and end of life project. Surrey, South West London, Middlesex Elmbridge, Epsom, Ewell, Kingston, Mole Valley, Reigate, Banstead, Richmond, Runnymede, Spelthorne.